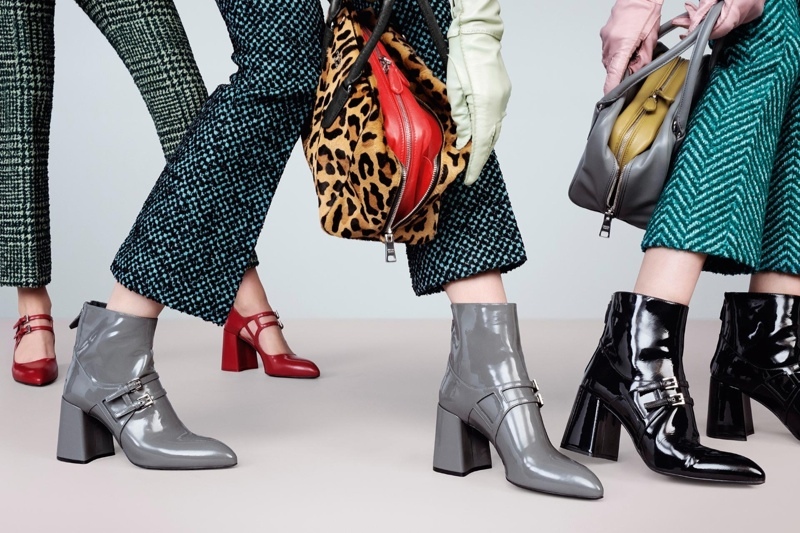 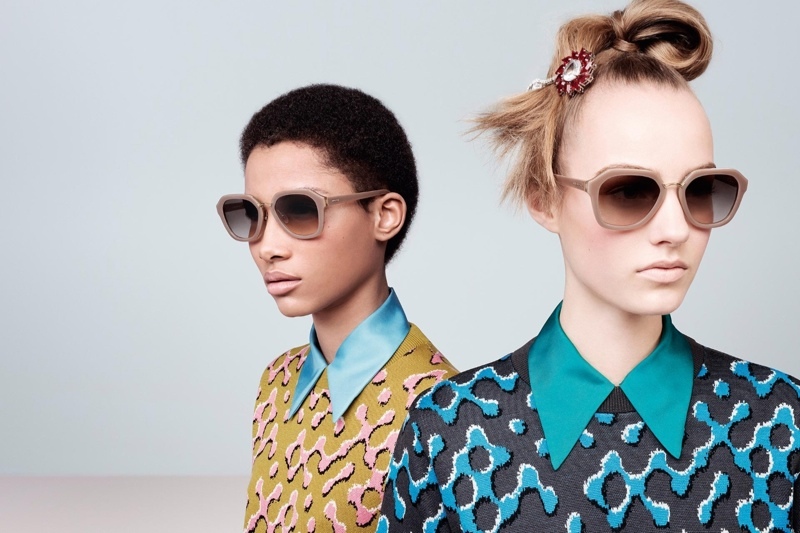 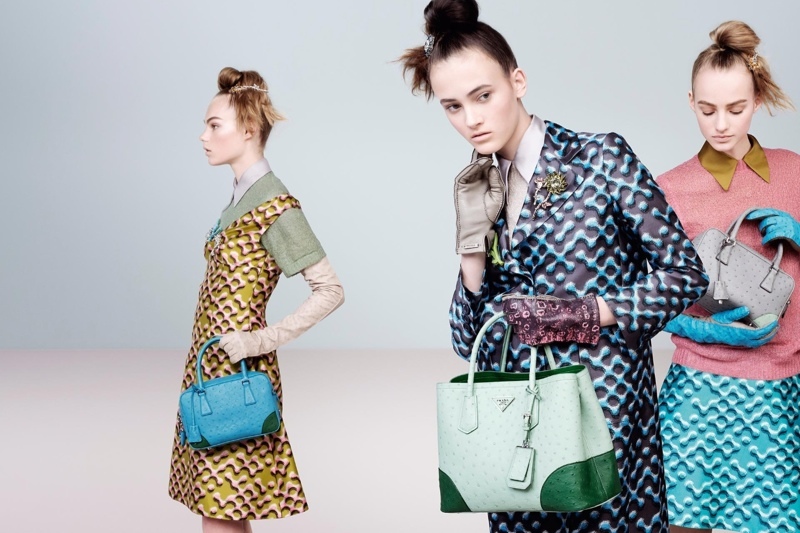 The fall-winter 2015 campaign from Prada puts the spotlight on rising stars with the Steven Meisel lensed images. 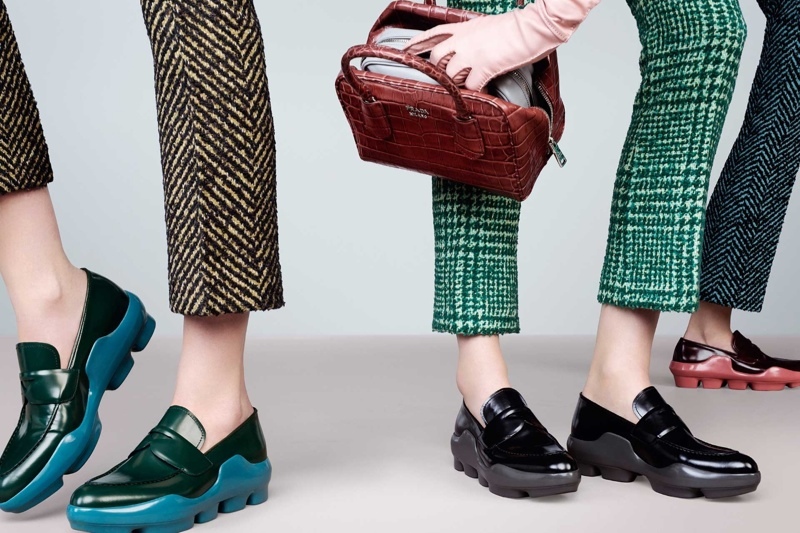 Models Avery Blanchard, Estella Boersma, Inga Dezhina, Lineisy Montero, Ine Neefs, Greta Varlese and Maartje Verhoef pose in the brand’s retro style suiting and cropped pants in looks styled by Olivier Rizzo. 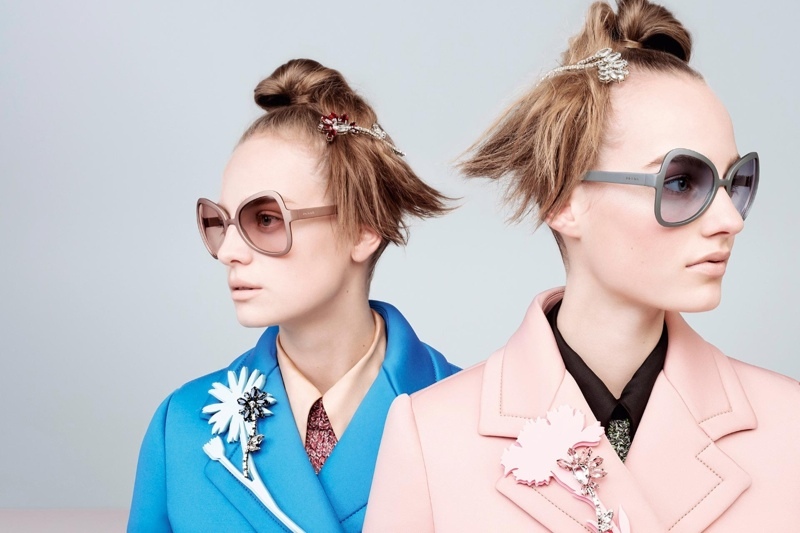 The girls wear their hair in messy buns, adding a quirky and youthful twist to the advertisements.